The HTC One grabbed our hearts with exquisite aluminum design, amazing front stereo speakers and blazing fast performance, but there’s a new kid on the block that braves to challenge all that. Welcome the LG G2, the contender, a device that revives the old aluminum vs polycarbonate fight, but has a couple more aces up its sleeve. LG listened and learned, and half a year after the arrival of the HTC One, the G2 brings the latest and most powerful Snapdragon 800 chip, an ambitious 13-megapixel camera with optical image stabilization and a stunning 5.2-inch screen with almost no bezel. All that in an extremely compact and ergonomic body with all its buttons on its back. Weird and brave, the G2 throws a gauntlet in HTC’s way. Let’s see whether it has all it takes to win this fight. 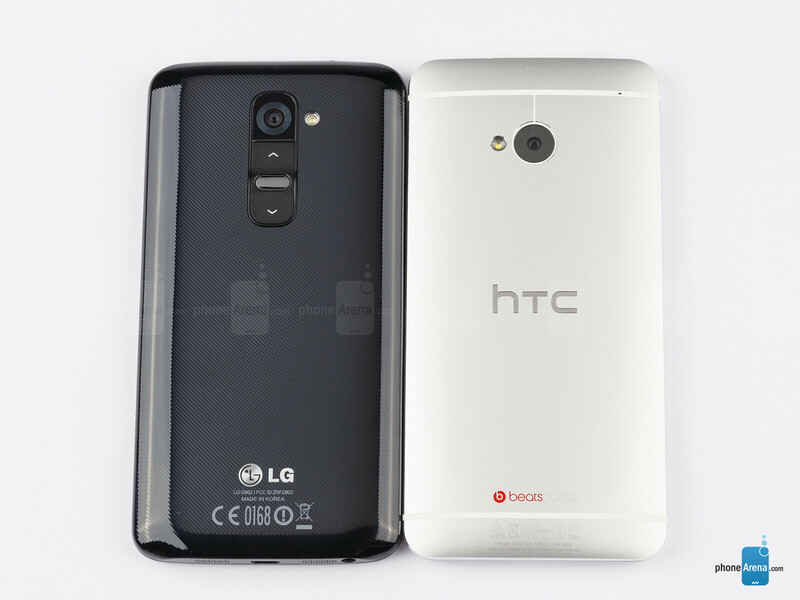 The LG G2 is polycarbonate, the HTC One is aluminum. 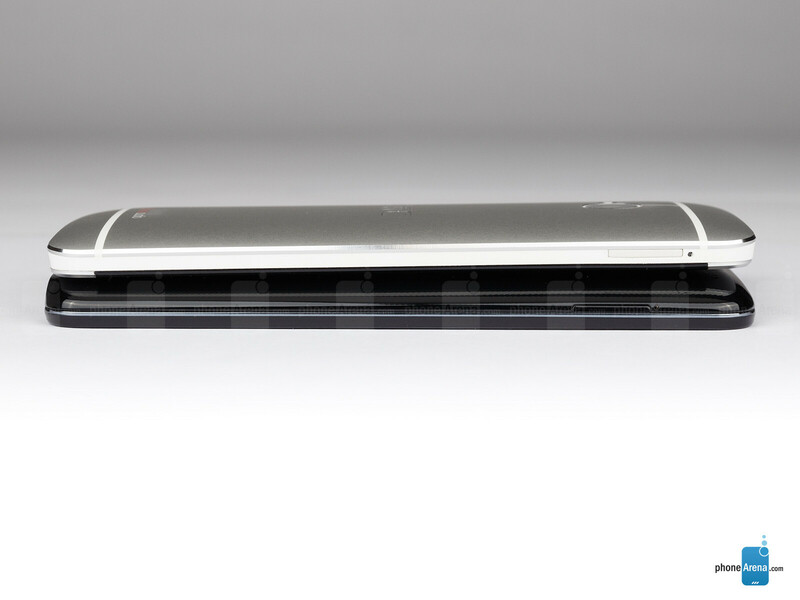 This should nearly automatically give the HTC One the edge - aluminum feels stiffer with a harder to scratch coating and it has proven to allure a sense of lavishness. Do we have a winner? Not so fast. LG might have gone with polycarbonate (and we’d argue there is not much of a difference between aluminum and polycarbonate in terms of pure durability), but it has done a tremendously good job with ergonomics. Still, build quality is good on both devices, but the HTC One feels monolithic, more trustworthy. Size-wise the two devices are very similar, the HTC One is a bit smaller, but the difference is barely noticeable. In both cases, single-handed operation is quite a stretch. 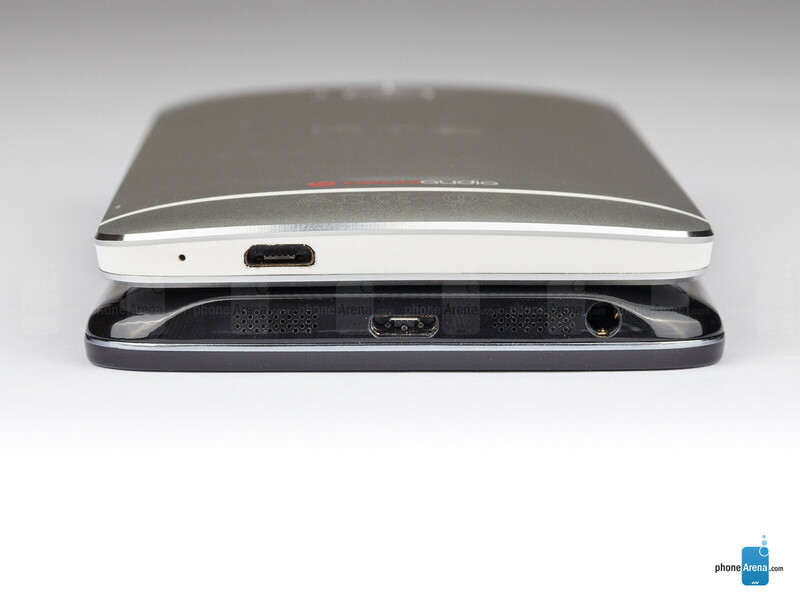 Both devices have a curved back, but the G2 nestles in the hand more naturally. Moreover, the experiment with putting the physical buttons on the back has definitely paid out in the G2, and this contributes a great deal to ergonomics. 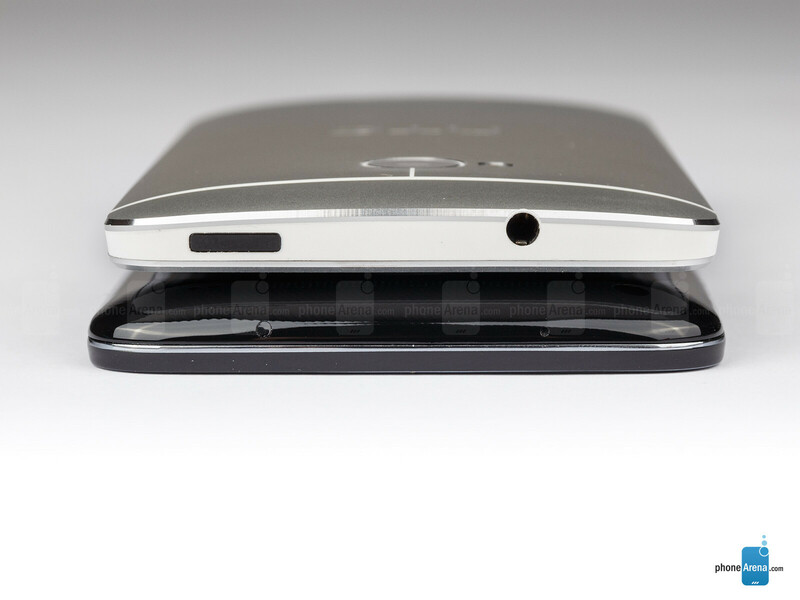 The HTC One’s lock button on top is plain hard to reach. While there might be almost no difference in their sheer size, LG has done wonders with the display bezel and slimmed it down so much that it managed to equip the G2 with a 0.5-inch larger display. 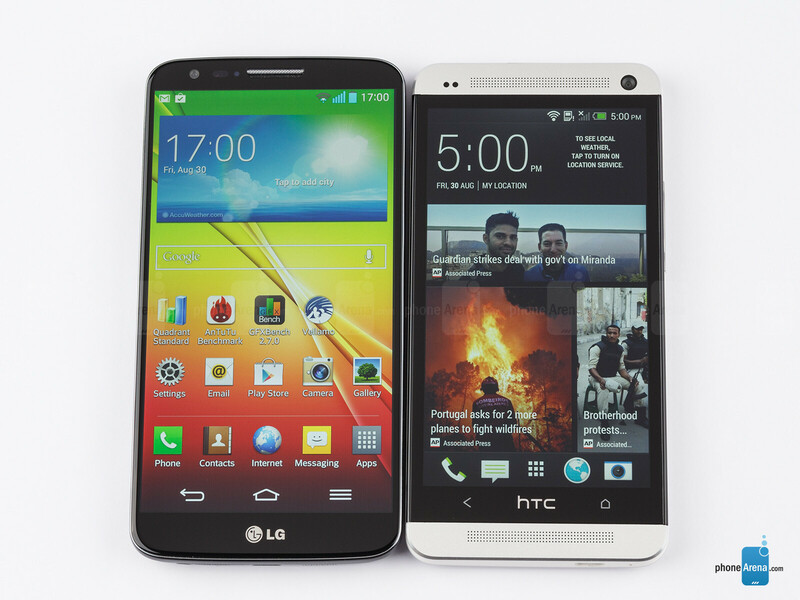 That’s right - the LG G2 has a 5.2” screen while the HTC One only features a 4.7” one. 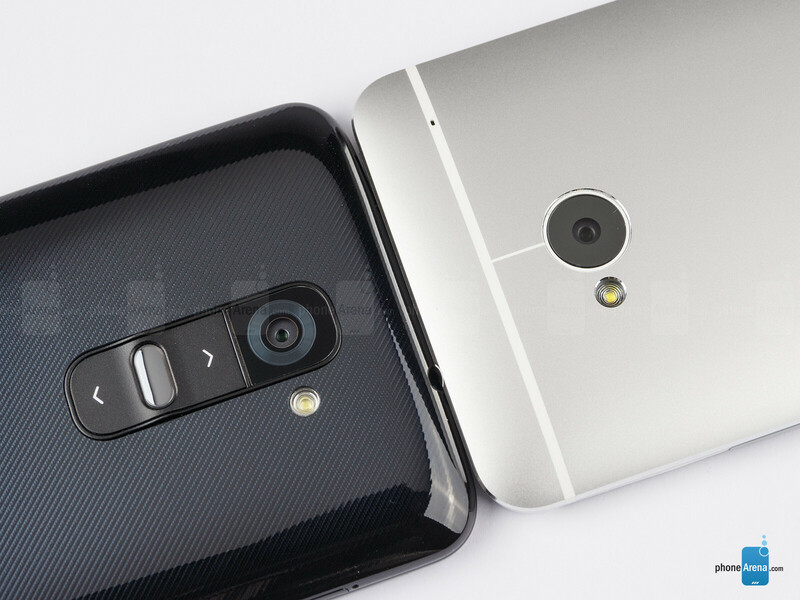 Luckily, the two are among the best we’ve seen in a smartphone. Extremely sharp and crisp at 1080 x 1920 pixel resolution, the HTC One has the slight upper hand in crispness but it’s advantage is barely noticeable. Both screens have impressive, very lively colors. One slight difference is that the HTC One has a bit warmer, more accurate tones, and on the LG G2 whites are a bit cold, but overall both are excellent. The two displays are very bright and while brightness does not make much of a difference indoors, outdoors it allows for both displays to be easy to use, putting less strain on the eyes. Viewing angles are good on both. All in all, the screens on the G2 and the One are stunning. It’s a close call, but the One’s more accurate, pleasingly warm colors swing it in HTC’s favor. I thought the G2 had the Sanpdragon 800 not 600 as stated above? htc one rock.. g2 is great phone and i respect to this beauty combine of functioanly and beauti but we know its newer than one for a few mounth but htc one still very georgus super phone with great ui , screen, sound and best body build .. i think one max can be better than g2 with snap 800 and sense 5.5 .. both phone are my favorite.. great job htc and lg. 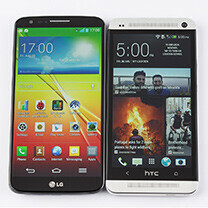 plus it i must to say g2 change my mind about LG.. i like htc one very much but now its 50-50 in front of g2.. Since then I'm with LG, I have lots of LG products in my house and it's very reliable, very affordable! G2 is really nice . It actually made my thoughts change about LG as well. but my htc one is sleek as it is. G2 is also sleek and has a great design. 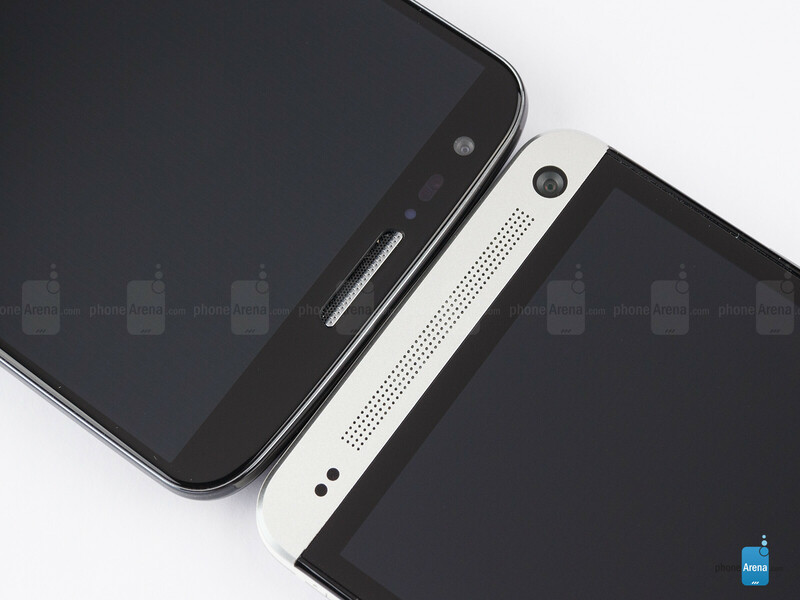 In my mind the ratio design for htc one and G2 is 51/49 Just because I already have htc one. lol.. The g2 finally made me interested with LG, making it the first LG device I added on my want it list. No doubt that the g2 wins the smartphone battle for now seeing it compete with the competitors before it. Keep it up lg! 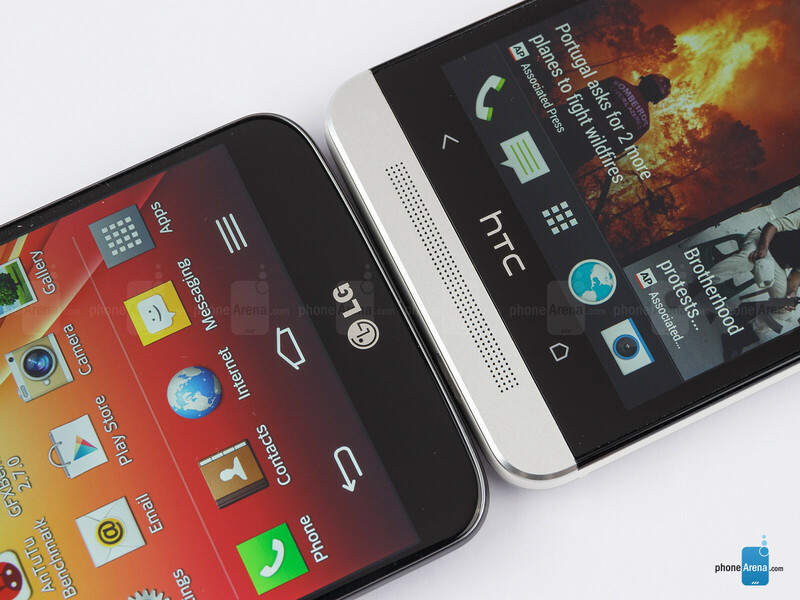 Design wise HTC One, but overall G2 FTW. HTC get rid of that UltraPixel gimmick. XZ camera is better than HTC One. 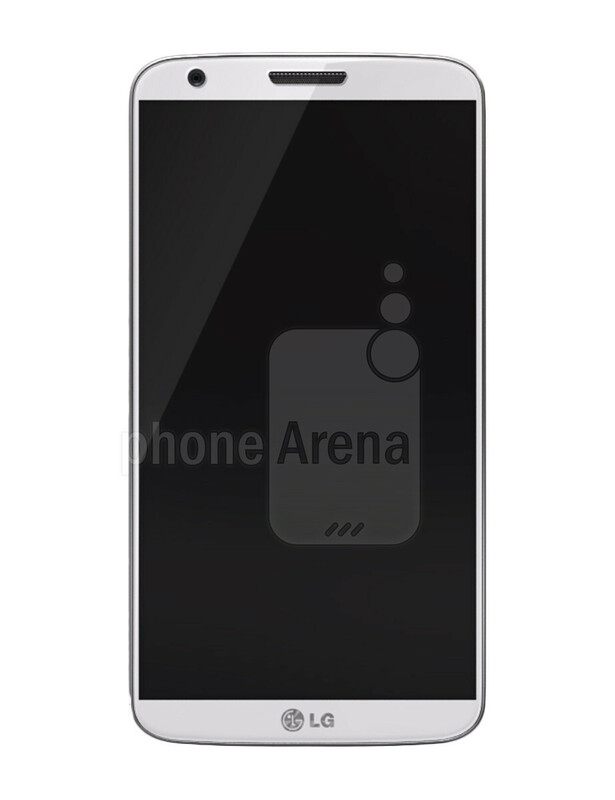 LG G2 my next phone !!!! Adios Sammy ! Apple might have to start considering LG in the lawsuits now. The LG G2 is turning to be quite the Android flagship killer. I am still waiting to see all the info on the Note 3 but i am leaning toward the G2! Me too. Despite the size of Note III, 60 fps video ??? OIS ??? The rest Sammy is the king ! Slow down LG! Beating up the SG S4 and the hTc One! Oh My GoD! NO to the Galaxy Note III Welcome the G2! Why no mention of HiFi Audio in any of these? The Ability to play lossless FLAC/WAV audio is huge and no other handset offers it. Which one has it?! G2 or One?! I see just one problem with the One and it's the camera. You can name it whatever you want but it's still 4 mpx, and a 13 mpx will always win. That's why I choose G2. The HTC One is huge for a phone with a 4.7 inch screen. They should be embarrassed by their phone size like Nokia should be. Omg you post this on every HTC one related article. We get it. You like tiny phones. Some people can sacrifice a little bit on size for features like the speakers and the metal chassis. I have a little correction to add to your great comparison. My "standard" international HTC One has 32 GB flash memory, so there is no advantage for the G2 in that respect. G2 is really better than One. cause G2 is the newest flagship nowadays, LG has fixed their problem such as camera. the G2 camera is really better than LG's flagship before. 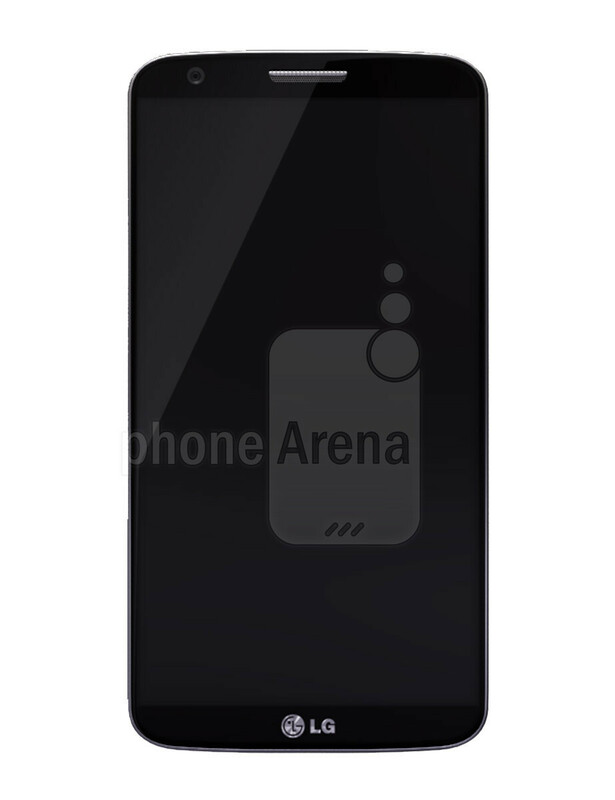 but we have to wait the upcoming flagship from HTC, Samsung, and that has just released : XZ 1/Honami. who will be the best? One other correction the HTC One records full 1080p in 60fps as well just checked, right there in the options, full HD 60fps that's what the option is called. So that with the fact that the LG has motion blur & is skipping frames I would give the video cam win to the one. Also they didn't mention it but slow motion mode on the One is great & so is the fact that you can slow down the whole thing or just certain parts to add that cool slow motion effect just at the part in the video you need it. Also maybe it's my screen but some of the picture shots where it said the LG stayed truer to the natural colors that's not how they looked to me unless they were miss labled, the LG looked a little washed out & the One pics looked more natural to me. Though I'll give it to LG for a great camera that can beat the One, I can't wait to see the evolution of the ultrapixel. 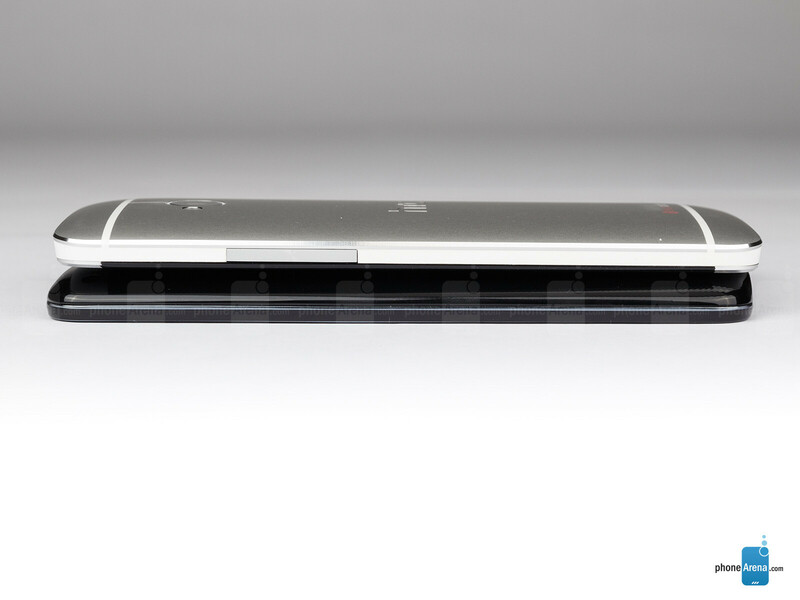 HTC is on the right track that's just basic physics, an 8 ultrapixel camera would be unbeatable. If they could keep the 2um pixel size but squeeze 8 ultrapixels out of it without a Nokia camera buldge.